Jay Z is going to war against Apple. Tidal owner Jay Z has decided to pull all of his albums from rival streaming services Apple Music in an apparent effort to woo over new subscribers, or increase piracy of his music. This is the first time the Jigga Man has played hard ball with Apple. Jay pulled his Blueprint albums from Spotify and Apple Music last year. The albums were brought back after a few months. He also removed Reasonable Doubt from Spotify the year before. Jay Z purchased Tidal in 2015 and used exclusives from artists like Kanye West in an attempt to attract subscribers to the service. At one point rumors claimed Apple was considering acquiring Tidal. 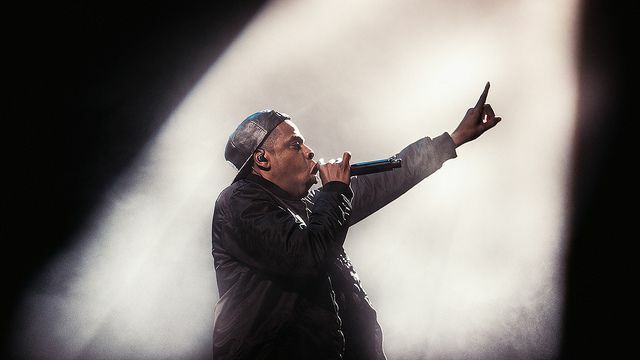 During his struggle to get make Tidal soar, Jay Z hasn’t been afraid to take some swipes at his streaming competition, even though Tidal’s subscriber numbers are far below Apple Music and Spotify. Hip-hop fans looking for a dose of 2000’s rap era nostalgia can still get a few tracks featuring Jay Z’s without signing up for Tidal. Both Apple Music and Spotify still have songs featuring Jay Z and other artists. His album with R Kelly, Unfinished Business and The Hits Collection Volume One are also on Spotify. Spotify confirmed on Twitter today that the albums were removed at Jay Z’s request. You can still buy Jay’s albums on iTunes. His wife Béyonce’s albums are still available to stream on Spotify and Apple Music.